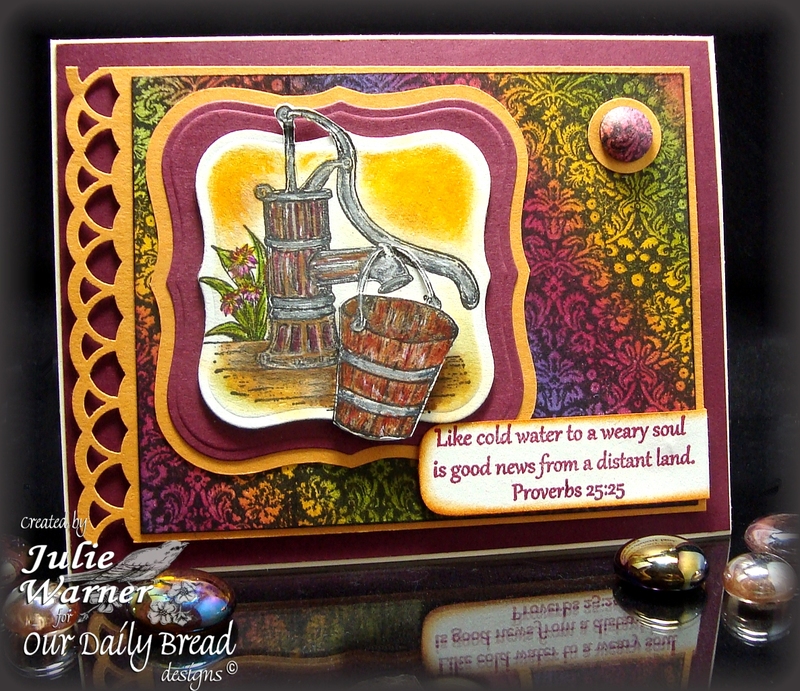 ODBD Sept Release Blog Hop! Hello and welcome to our September Release Blog Hop! Don’t you just love these new images? We’re also excited about the exclusive new dies ODBD is carrying now! If you came here from Connie’s Blog, you’re in the right place. If not, you may want to go to the ODBD Blog in order to start from the beginning. 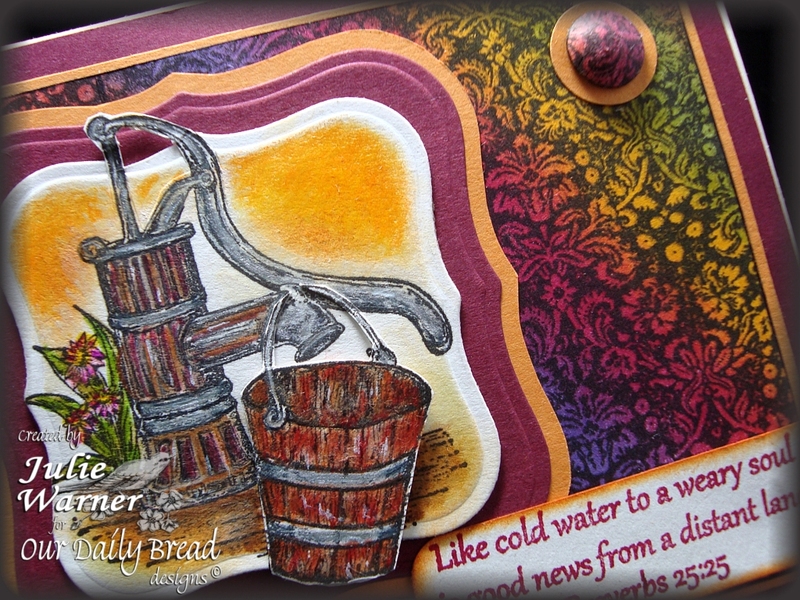 I love this new Brocade Background and the Never Thirst set is wonderful and I combined them for my card. A rainbow ink pad was used to brayer a piece of white card stock and the brocade was stamped over it with black ink. The well was stamped and colored with markers. After die cutting it (using the out of the box Nesite technique), I left the die in place and sponged some ink inside. Silver highlights were added with a metallic pen. I cut out an extra bucket to attach on the base image for a little dimension. After stamping the Proverb, I rounded the left corners and wrapped the right edge over the top two layers. I made a 1/2 inch faux brad out of some leftover background and attached it to a 5/8 inch mustard circle. Thanks so much for stopping by! Your next stop will be Chris’ Blog and I know she’ll have something gorgeous to share.